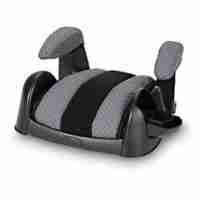 Backless Booster Seats raise a child up off the vehicle seat for a better fit with the vehicles seat belt. Backless Boosters keep the seat belt in the proper position over a child’s body. These boosters are light weight and compact. 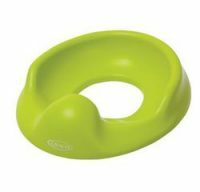 Child must be a minimum of 4-years and 30-lbs to use this product. 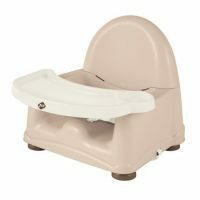 Miami Backless Booster Seat rental raise a child up off the vehicle seat for a better seat belt fit. Backless Boosters keep the seat belt in the proper position over a child’s body. These boosters are light weight and compact. Children must be at least 4-years old to use backless booster seats. All children are safest in a full high back car seat to the maximum limit of car seats. Older children prefer backless boosters, since car seats are “for babies”. Let your toddler feel like a big kid by making the transition from car seat to booster. Features a comfy padded seat and a flip down drink holder. Used with the vehicle safety belt. Padded armrests and seat for child’s comfort. Due to liability, Rockabye personnel cannot install car seats or assist with installation of car seats. Our cleaning process is extensive. For full information on our cleaning process, check out our post about cleanliness. 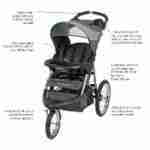 Thus, no other baby equipment rental company in Miami offers this level of sanitization.